DirecTV Now adds back missing five bundles – they have a different name and their prices have nearly doubled. The five bundles are filed under “Other Packages,” a second tab near the “Featured Packages” where Plus and Max are. DirecTV Now seems to be messing with subscribers after pulling down its five-bundle model last week and replacing it with two new bundles that had a steeper price and fewer channels. What did they do? They brought back the old bundles with a different name, doubling the price in the process. 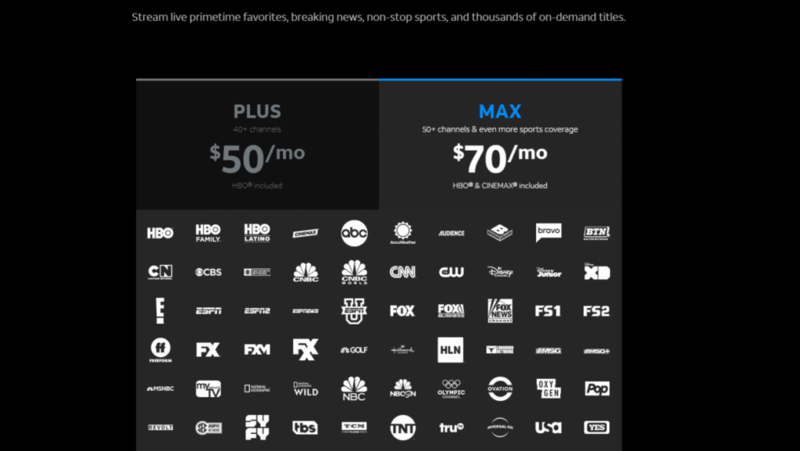 So, just recently, DirecTV Now announced that it was introducing two new bundles – Plus and Max. Both contain HBO and the latter also features Cinemax, but they have considerably fewer channels – no AMC, no Animal Planet, BBC America, Comedy Central, Discovery, MTV, Nickelodeon, Paramount, TLC, and more -, as dozens of channels were pulled from the new bundles. Also, Plus costs $50 per month for over 40 channels, while Max costs $70 per month for over 50 channels. 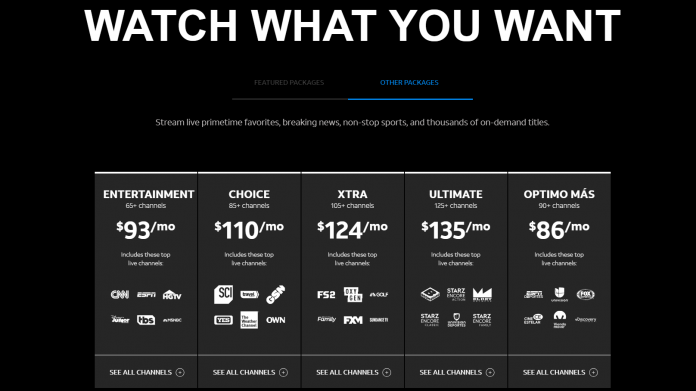 Previously, the DirecTV Now bundles were called Live a Little ($40/mo), Just Right ($55/mo), Go Big ($65/mo), Gotta Have It ($75/mo), and Todo y Mas ($45/mo). Their prices were decent, and they each had a large number of channels, with the cheapest one featuring over 65 channels, and the most expensive one over 125 channels. Now, DirecTV Now is slapping up the old bundles with new titles and higher prices. Much higher prices. So high, in fact, that we’re not sure why someone would bother cutting the cord since cable prices run at similar heights. Understandable, people are getting annoyed with these changes. We reached out to them over Twitter and got a non-answer, much like everyone else who tried to contact DirecTV Now in the past week or so. Coincidently or not, these are the exact numbers we had for the original five bundles. Through sheer coincidence, they also have the same channels. No, we’re just kidding. They simply renamed the bundles, hid them up for a few days as everyone slammed AT&T for the DirecTV Now changes, and now put them back on the site so people can still pick them. But, who would want them? The prices have pretty much doubled to what they were before. PlayStation Vue’s most expensive bundle costs $79,99 per month, includes HBO and Showtime, as well as some 100 channels. If you don’t want HBO and Showtime, you can pay for the Elite bundle which is only $59.99 per month and has the same channel set-up minus the premiums. Hulu offers over 65 channels for $44.99, while YouTube TV offers nearly 75 channels for $40. Philo’s bundles are notoriously cheap – 44 channels for $16 and 57 channels for $20, while Sling TV may offer cheaper bundles, but they also have only a bare necessity of channels in there, allowing customize to build their own plans by adding various packs. fuboTV is also a great deal since it offers over 90 channels for $44.99 per month and over 110 channels for $49.99 per month. So, what it boils down to is that if you’re already subscribed to DirecTV Now with the old bundles, hang on to that subscription for as long as you can and make sure you don’t lapse out. 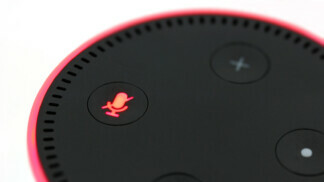 The situation is that much more annoying since DirecTV Now used to be one of the best-built live TV platforms, with loads of customization options and a wide range of options offered to customers in terms of how much they’d pay each month. 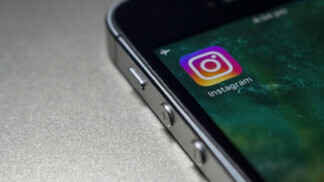 The recent changes have made the platform drop considerably in desirability. Since over 260,000 users dropped DirecTV Now in the last quarter of 2018 simply because the preferential pricing expired for many customers, we’re curious to see what numbers DirecTV Now reports next time around. So, are you considering DirecTV Now for when you’ll cut the cord? If you’re already a DirecTV Now customer, will you be staying along? Let us know in the comments section below and please share the article online so others can find it too. Follow TechNadu on Facebook and Twitter for more tech news, guides, reviews, and interviews.